In 2013, Kolby Koloff made her debut as a reality TV star in the Lifetime series “Preachers’ Daughters”. After two seasons, she and her family parted ways with the program, and she embarked on a career in inspirational music. Kolby signed with Maxx Recordings and released her first EP “Grow” early last month. This young lady is already a positive role model who is well on her way to truly making a difference in people’s lives through music. BTSCelebs recently interviewed Kolby and asked her about “Preachers’ Daughters”, her new record deal with Maxx Recordings and her future projects. BTSCelebs: How was the Koloff family cast to be in “Preacher’s Daughters”? Kolby Koloff: My family was cast in ‘Preachers’ Daughters’ because of my mom. She saw a Facebook post from the casting company looking for girls 15-19 who are pastors’ kids. She submitted my picture and information thinking it was just an interview. Earlier that particular week, I had tried out for my school’s cheerleading squad, but didn’t make it. My mom thought a cool interview would be something fun to take my mind off of it. After multiple phone calls and Skype interviews, they picked my family! Which member of the cast did you instantly become best friends with? Before season 1 came out, we had to go to LA to do some promotional stuff. Taylor, Olivia, and I all hit it off right away. They’re such sweet girls. We were able to exchange stories and experiences from our childhood as pastor’s daughters, as well as, share our experiences with the show. What kind of reality series would you love to be apart of in the future? I would love to do a reality series with my family. The only reason I enjoyed PD as much as I did was because I was able to do it with them. My family are my best friends. Being able to do something fun like that solely with my family would be a blast! How did a record deal with Maxx Recordings come about? Mitchell Solarek originally met with us to represent my family for the show. After a couple of meetings he found out I was an aspiring singer-songwriter. At first, I tried keeping it from him because I didn’t want him thinking I was another reality star trying to be a singer. After playing him my stuff, he was like, ‘Oh you actually can sing.’ That’s what started the journey leading to the record deal. Which popular recording artist would you love to sing a duet? I would love to sing a duet with Ingrid Michelson. She has been one of my favorite artists since I was 11. People were listening to the Jonas Brothers; I was listening to her. If you were headlining your own tour. what cities are you dying to hold shows in? I would love doing shows in cities I’ve lived in. I moved around a bunch, being a pastor’s daughter, so being able to go back to visit and have people who know me come to my shows would be a dream. What upcoming projects can we expect from you in 2016? We are in the process of finishing the album with hopes that it will be released in early 2016. It’s been an amazing year of writing and recording, so I am very excited to start getting more and more of my music out there. 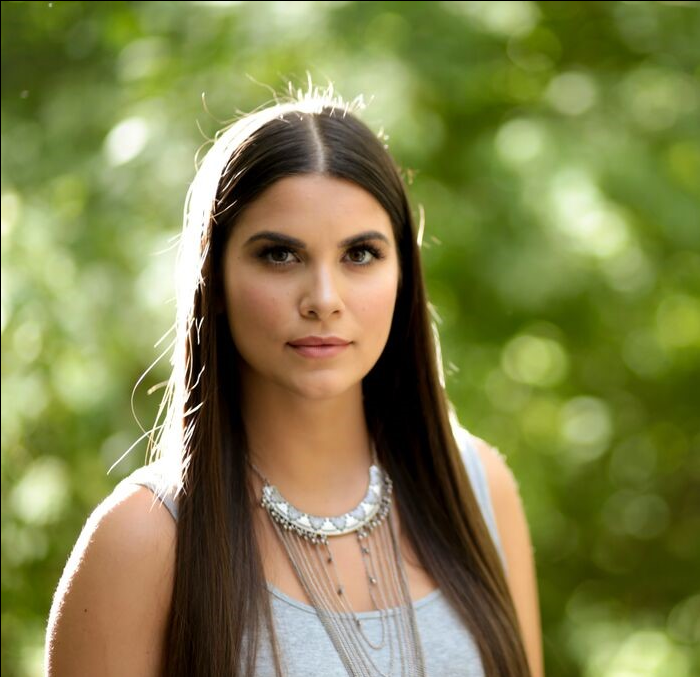 Follow Kolby on Twitter @KolbyKoloff to learn more about her exciting new music career. This entry was posted in Entertainment, Interviews, Music and tagged Kolby Koloff, Maxx Recordings, Preacher's Daughters. Bookmark the permalink.